My specialty is global macroeconomic analysis. I don’t usually get too involved in politics, and frankly I’d prefer to avoid the subject altogether. But at certain times politics intrudes on markets and you have to account for it. With the midterm elections coming up in two weeks, it’s certainly a very important time right now. Tuesday, Nov. 6, is the date of the U.S. midterm elections that will determine control of the U.S. House of Representatives and U.S. Senate. The outcome of those contests will determine whether Trump is allowed to finish his term or not (see below for more on that, and which outcome is most likely). Whatever you think of Trump personally, we all know how the mainstream media treat Donald Trump. The coverage from The Washington Post, The New York Times, NBC and other outlets is relentlessly and exclusively negative. The media campaign against Trump is not normal bias; it’s more like a political jihad. Trump gets no credit for reducing unemployment, cutting taxes, boosting growth, achieving a breakthrough with North Korea, defeating ISIS and standing up to the dictators in Syria and Venezuela. Meanwhile, Trump is hammered continually on the bogus Russia collusion story while Robert Mueller is cheered on in his fishing expedition into Trump’s personal finances and unrelated problems of Trump associates. The mainstream pundits are predicting a “blue wave” that will put the Democrats in control of the House of Representatives and lead directly to impeachment proceedings early in 2019. That’s been the mainstream narrative for months. Basically, the idea is that Democratic voters are more motivated than Republican voters because their hatred of Trump is more powerful than support for Trump among Republican voters. The Kavanaugh confirmation process only inflamed Democratic passions even further and should help the turnout. Perhaps. But ordinary Americans may have a surprise in store for the pundits, as they did when Donald Trump was elected in 2016. 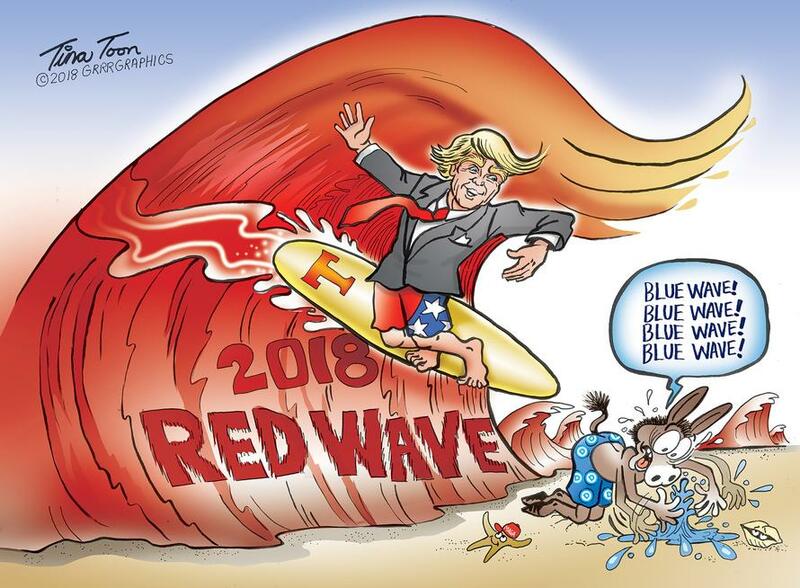 The blue wave is by no means a foregone conclusion. The ability of everyday Americans to see through the media spin will have a huge impact on the midterm elections coming up in two weeks. Even a coordinated anti-Trump assault from the media and the Washington establishment can’t hide the good news forever. Whether it’s sustainable or not is another question, but everyday Americans have seen that their paychecks are getting bigger, their companies are doing better and their investments are on the rise. Please understand I’m not taking sides here. And you’re free to vote for whichever candidates you think are better for the country. I’m simply trying to predict the outcome with a scientific approach using statistical science, predictive analytics, applied mathematics and behavioral psychology. These disciplines are what led me to call Trump’s election in 2016 when virtually the entire media establishment was predicting a Hillary landslide. They’re also what led me to predict Brexit, also in 2016. The bottom line is they are highly effective tools. 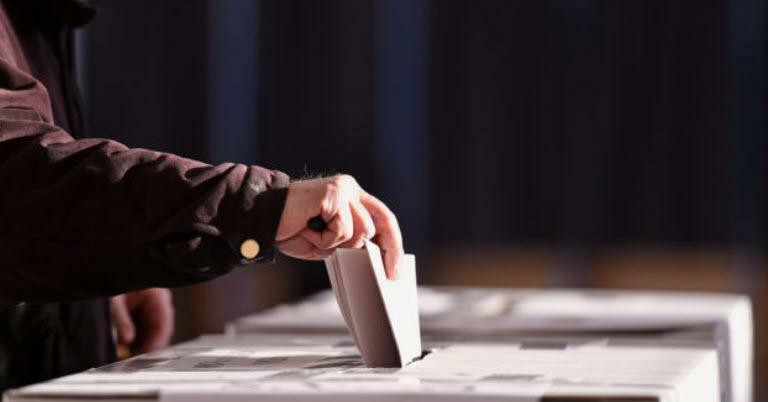 The turmoil surrounding potential efforts to unseat Trump could roil markets to a greater extent than any event since Brexit and the election of Donald Trump as president. That means you should be prepared for market volatility in the coming days and weeks. What can you do to protect your money? I like certain assets over others, but with a lot of volatility in the air, being overly committed to any one asset is never a good strategy. If you’re overweight stocks or you’re overweight bonds or what have you, it can be difficult to pivot away into some other asset class without taking losses. In the face of rising volatility, cash is the ideal way to protect your portfolio. An increased allocation to cash gives you options. You can use that cash to pivot to other assets when things settle down. You may not gain much with cash, but more importantly, you won’t lose anything.